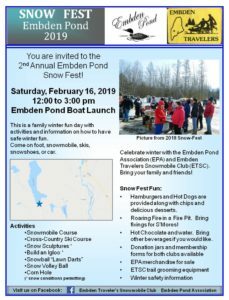 Embden Pond Association | The E.P.A. is comprised of members who care deeply about the pond. The Snow Fest was a success. We had great weather, nice people, and lots of winter fun! We have a beautiful pond, rated among the best in the state of Maine. It is clean, clear, cool, and a place where lifelong memories are created. If you enjoy Embden Pond please help us maintain its pristine beauty. 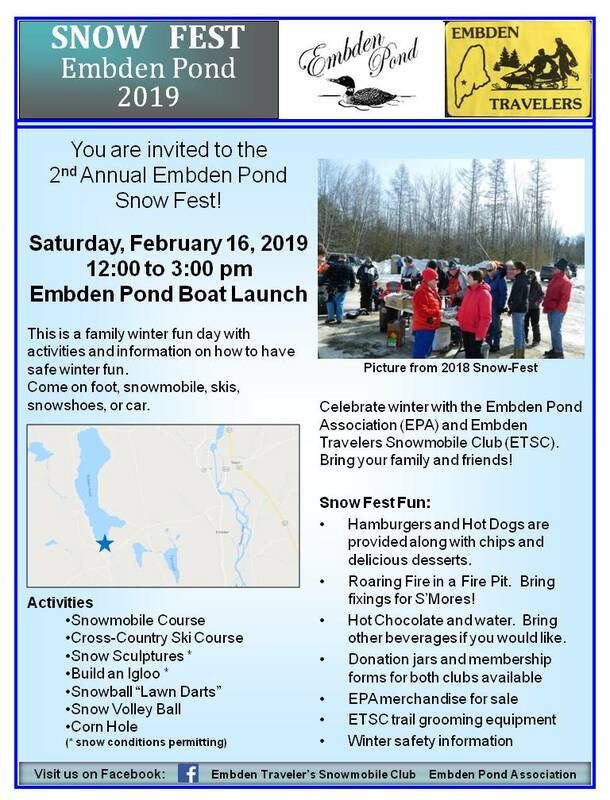 Contact us if you would like to join the Embden Pond Association or look on the “members” page for a membership form.